Farmers have no detail about how future farming payments will be structured, warn the region's rural leaders. Picture by Gary Longbottom. A lack of clarity over future farming incomes is at the heart of pervading uncertainty plaguing the industry and Grow Yorkshire is seeking detailed answers from the Government so that rural business owners can make the best decisions now to prepare for an impending era of enormous change. The Government has proposed to phase out current direct support payments for farmers - which are the difference between profit and loss for many farm businesses - between 2021 and 2028. Under the existing Basic Payment Scheme model, farmers are paid on the basis of land size but Ministers want to pay farmers instead for the delivery of “public goods”. However, those public goods have yet to be formally defined and no detail has been announced about how new payments will be structured. 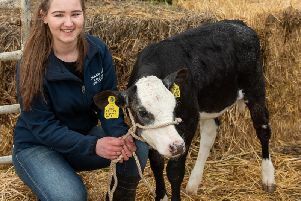 Nigel Pulling, chief executive of the Yorkshire Agricultural Society, said: “A major area is about the change to the Basic Payment Scheme and the move to more of an environmental focus. There's no detail behind this and over the last few years this has been a fundamental part of farm incomes. "Farming is a long-term business so the Government needs to give the industry clarity and that's why we are backing this initiative." One of Grow Yorkshire’s aims, with government support, is to provide business advice to farms and Mr Clark said this was badly needed as part of a cultural shift within British agriculture. “Over the years, few farmers have managed, or more importantly, have not been encouraged to manage, proper budgeting,” he said.